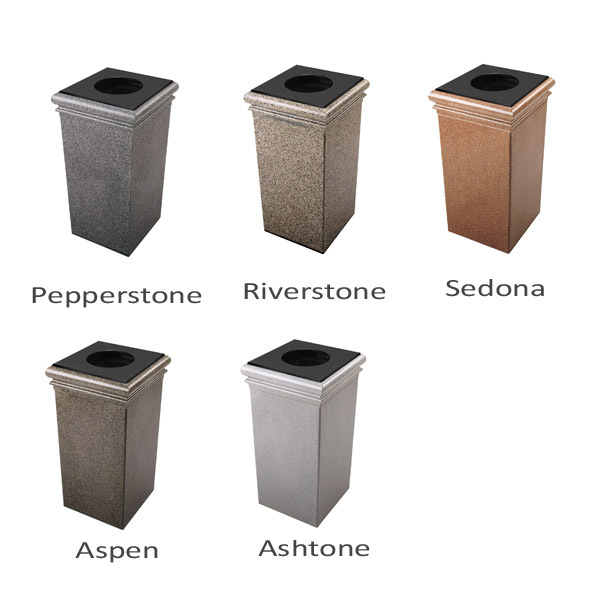 Keep your pool clean with the modern styled 30 Gallon Stone Tec Square Polymer Concrete Plastic Trash Receptacle. 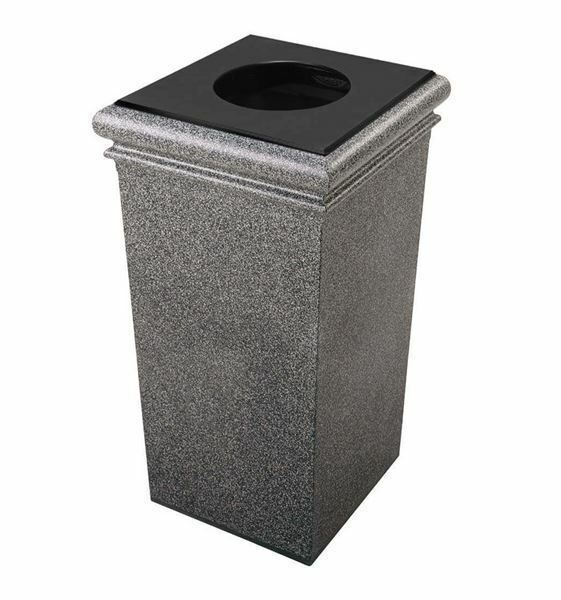 This trash can is made out of commercial grade reinforced fiberglass polymer which won't rust or corrode when near water and features a lid and liner that are constructed of high-density polyethylene. The lid has a 10" opening for convenient and clean trash disposal and uses bag slots located in the liner to keep the 39-gallon trash bag in place. Pick from a variety of separate color options to best suit the look of your location. 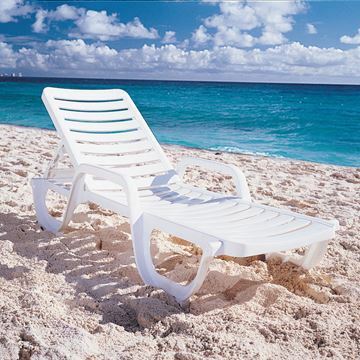 This product is made in the USA and comes with a 1-year commercial warranty. • Dimension: L 19" x W 19" x H 33"